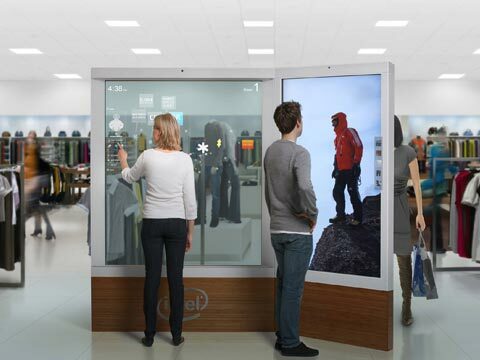 Experiential retail is just not about splurging on fancy gadget and deck up the store. This might help a bit, but what really creates a difference is personalized shopping experience and provide an unparalleled retail experience for your customer. Following are few case studies demonstrating evolution of retail stores which can overcome the challenges eCommerce has brought. PROJECT EVE is unique experiential concept catered to women in the age group of 25-40. The brand operates in the premium segment is an endeavor to redefine the shopping experience of modern age women. The brand launched its first flagship store in Mumbai in June 2017, followed by stores in Pune, Delhi, Bengaluru and Chennai. The unique experiential retail chain is the destination store which is built around the women to provide nearly everything that a woman needs to look & feel good. As per the information available on the website the brand is built with a mission to constantly create new and innovate, the store offers impeccable experience through its elegant ambience, in-store salon, café, personal stylist, plush trial rooms with lounge area along with a curated collection in apparel and beauty. Created for the discerning woman, the store offers beauty products from the likes of Chambor, Loreal Paris, Isadora etc and Fragrances from Bvlgari, Gucci, Elizabeth Arden and many more. Project Eve also boasts of the ‘lingerie and beauty’ Store-in-store’ format of Marks and Spencer. This is the first time globally that M&S has launched an SIS, away from its exclusive store format. The larger mission of Project Eve extends beyond its exclusive and aesthetic offering. The brand campaign of #MyEvespiration, is a social movement to recognise and celebrate women who inspire one another. Project Eve plans to reach top 10 cities across the country. The format also has cafés in its standalone stores. Online fashion retailer Myntra has just come up with its first of its kind store featuring zero assistance from store staff and self-checkouts within 30 seconds with zero time wasted on scanning individual products or removing security tags. Spread across 1,900 sq ft the store has been christened ‘Roadster Go’— The Speed Shopping Store, is 100 per cent RFID-enabled (Radio-frequency identification) and offers customers a fusion of an online-offline shopping experience. Also, Roadster is Myntra’s private label operates in fashion and lifestyle space. “In a first in the country, customers will now be able to pick up their favourite garments without any assistance, get to know the online price of the garment before making a buy decision and do a self-checkout in 30 seconds. For the first time, we are offering this in-store experience to all shoppers and not just to Myntra App shoppers” said Manohar Kamath, Head, Myntra Fashion Brands in an media interaction. Myntra plans to open its third ‘Roadster Go’ store in Pune, and end this fiscal with 15 stores with a total of 50 stores by 2020. Weatherseal inaugurated its first experiential store in Hyderabad based on ‘feel before you buy’. This is first and one of its kind concept which will allow shoppers to order doors and windows that suit the temperature and climate of India. As per official release, through the new store, the brand will cater B2B and B2C customers under one roof by offering them infinite design possibilities. The Indian uPVC doors and windows market is expected to grow at a CAGR of 7.0% annually. We have been growing more than 100% every year. Last year lifestyle retailer Fabindia launched its uinique retail format Fabindia Experience Center in Delhi and Mumbai. Fabindia Experience Center offers a unique shopping experience to its customers. The Experience Center focuses on the transition from transactional retail to experiential retail, in a format that aims at creating a destination hub that delights customers by creating experiences for everyone in the family. In addition to its signature product offering, the Fabindia Experience Center houses a FabCafé, an Interior Design Studio, Organic Wellness Center and an Alteration Studio. This new format’s appeal extends to include customers with different needs and varying age groups. “We are investing in ‘experience’ and the goal is to interact with customers at a whole new level of engagement. The first Centre in Delhi was well received by our customers and we are very optimistic about its reception in Mumbai,” said Viney Singh, CEO, Fabindia Overseas Pvt Ltd in the official release of the company. The Interior Design Studio (IDS) is a one-stop design solution to help create memorable spaces while providing a range of services such as consultancy on layouts, mapping spaces, product customisation and colour scheme coordination, etc that completes the destination experience.